– Joaquin Flores, for FRN – Support Flores’ Patreon! JERUSALEM, Palestine – In a major turn of events, Palestine’s UN envoy, Abdel Hafiz Nofal has just released a critical statement, reported by global media including TASS. 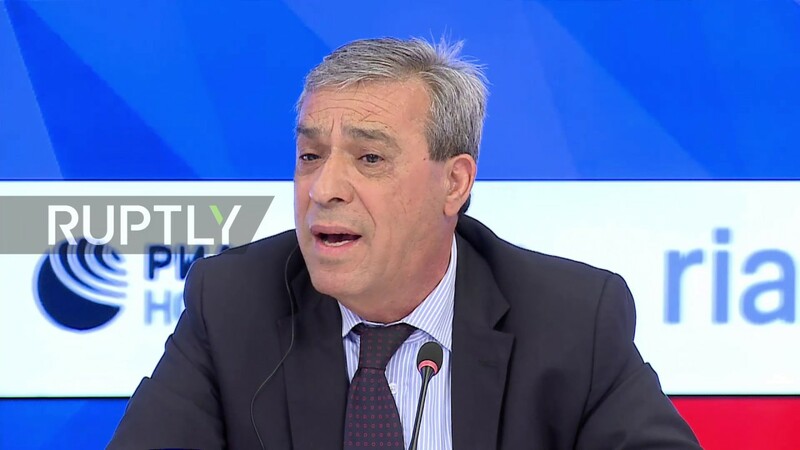 “Palestine will not negotiate with the US until US President Donald Trump’s decision on Jerusalem is annulled”, said Palestinian ambassador to Russia Abdel Hafiz Nofal. In particular, Palestine will “oppose US participation in the negotiations in an eventual new format”, he affirmed that “without a doubt”. This leaves Russia as the remaining likely brokers of any forthcoming agreement. Under the heading ‘Multi-vectored diplomacy’, Russia has used its relationship with Israel to lure or bait Israel forward, providing it the belief that there is an alternative to being backed by the US. This effort to triangulate has had good results, and has been critical in minimizing Israel’s role in the Syrian conflict, relegating it to logistic and medical support for FSA, Al Qaeda, and ISIS, while curtailing its ability to strike Syria directly, beyond a limited number of aerial attacks, with limited impact. “The only condition is to annul the decision on Jerusalem,” the diplomat said. “From our point of view, the US role as a mediator has lost its value,” he said. In effect, Palestine will no longer consider the US a broker or mediator in the fragile ‘peace agreement’, which is regularly violated by Israel, as the Zionist entity continues to expand its illegal settler colony program on the Palestine side of the post 1967 armistice. He states his belief that the US is likely to reconsider its position on its illegal declaration on Jerusalem being the ‘whole and undivided, capital of Israel’. Both the Oslo Accords and numerous UN resolutions, including at least one UNSC resolution are clear that East Jerusalem is to be the capital of a Palestinian state, under the two-state solution agreed to under the 1993 agreement, brokered by then US President Bill Clinton. Barring that, Palestine will no longer continue formatted talks on the ‘peace agreement’, with the US, according to Abdel Hafiz Nofal.